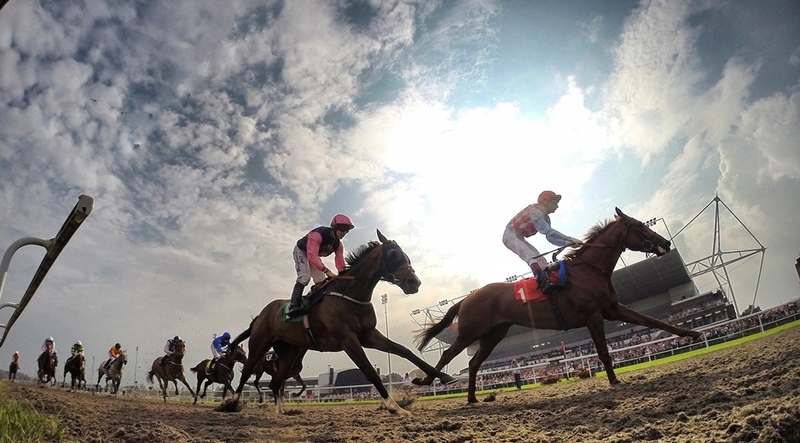 Kempton Park has staged some of Britain’s best racing since it opened to the public in 1878 and still hosts one of the country’s top Jumps races, the 32Red King George VI Chase. Less than 45 minutes on the train from London Waterloo station, the racecourse offers 40 evenings of Flat racing under floodlights throughout the year on its all weather surface. And throughout the winter and spring some of Jump racing’s leading hurdlers and chasers head to Kempton Park, along with the sport’s elite trainers and jockeys. The two day 32Red Winter Festival on Boxing Day and December 27th is the highlight of the racing calendar at the Surrey track, which in total will host 75 fixtures in 2019. As well as staging top class racing throughout the whole year Kempton Park is also a popular conference and events centre. It is part of the Jockey Club, the largest commercial group in British horseracing, and offers free entry to under 18s who attend with a paying adult at almost all of its fixtures.